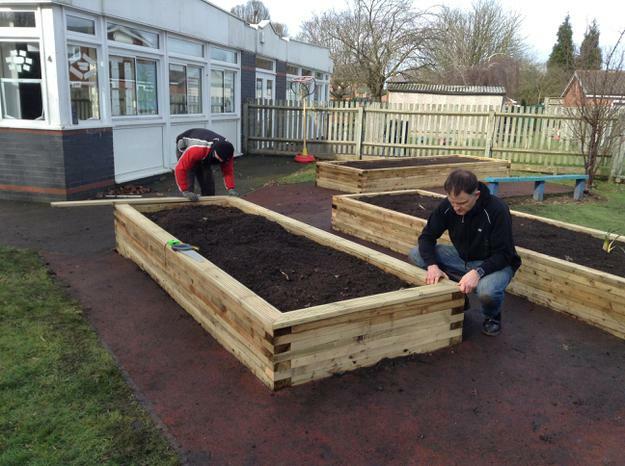 Whitestone Infant School has been very lucky to receive new gardening beds over the half term holiday! 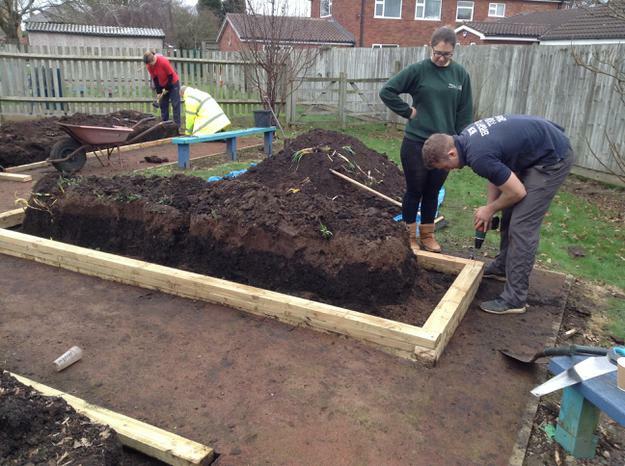 A group of volunteers from Jaguar Land Rover braved the wind and rain to build four new beds in the eco-garden complete with fresh soil. 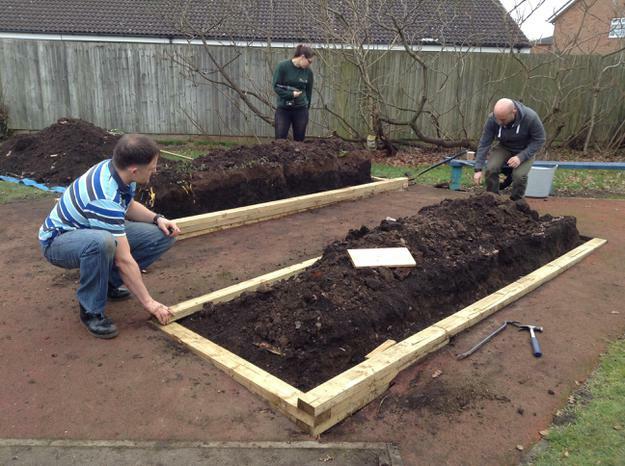 They started with long lengths of timber and used saws, hammers and measuring tapes to make the rectangle beds to the right size with the project lasting two and half days! 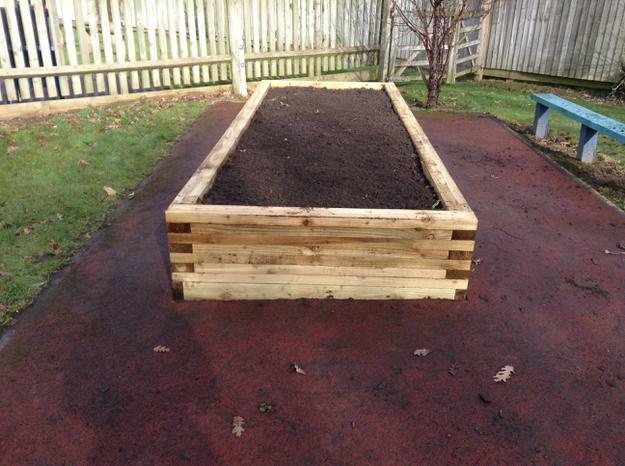 We hope that over the coming months children from each year group will plant fruit or vegetable seed and can reap the rewards later on in the year. 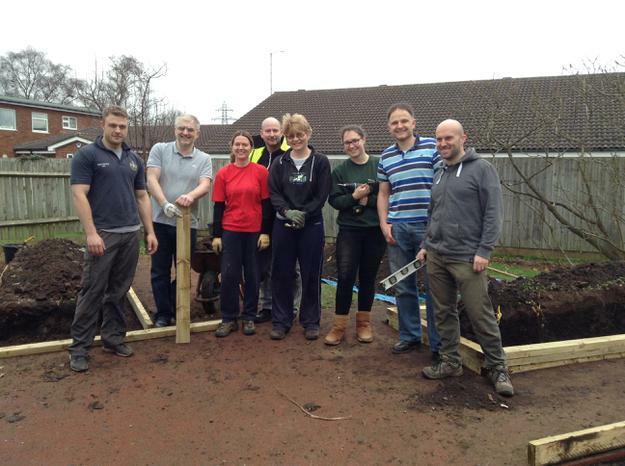 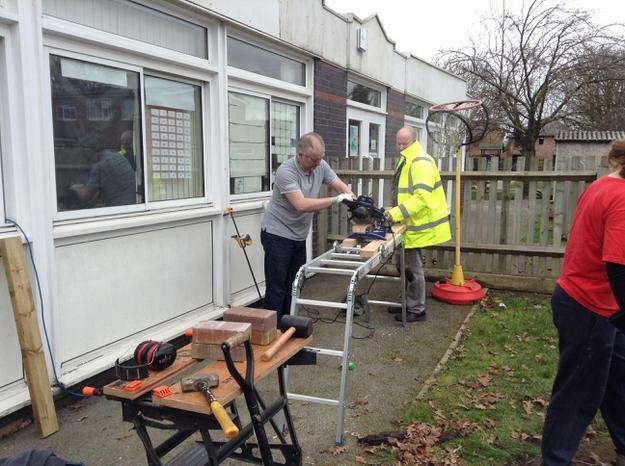 We would like to say a huge thank you to the Jaguar Land Rover volunteers for all of their hard work. 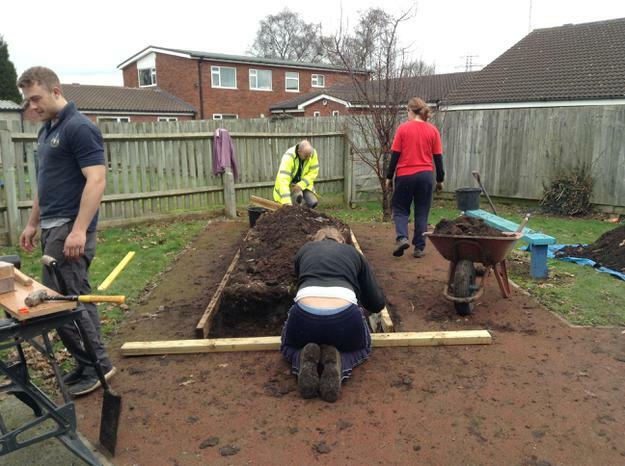 If you or someone you know has a particular interest in gardening or have gardening experience that could be used in school we would love to have you involved in our planting projects. 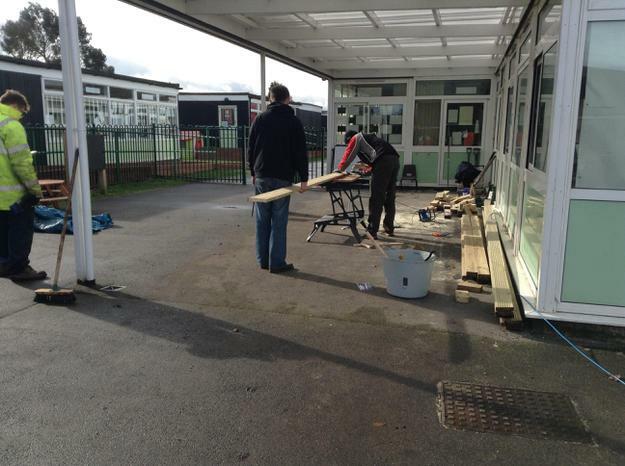 Please speak to your class teacher or Miss Turner to see how you can become involved!